Made in the USA. FDA certified. 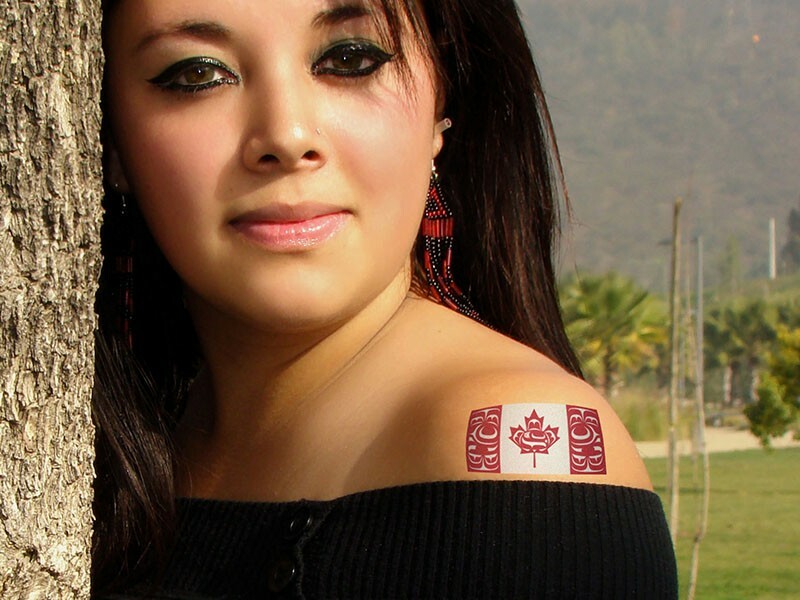 Canadian Native Flag Temporary Tattoos. For quantities over 10,000,please contact us for a quote.